Star Trek III: The Search for Spock (1984) Leonard Nimoy. 105 min. I didn't like this as much as Star Trek (2009). Mainly, because it starts off unfamiliar, as I haven't seen the television show. 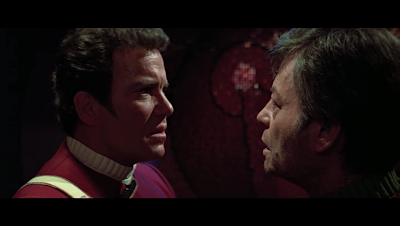 Whereas with Star Trek (2009), it assumes the viewer knows nothing. But Star Trek III was still a good movie. I'd say somewhere between Star Wars: Episode III - The Revenge of the Sith and Star Wars: Episode I - The Phantom Menace. Star Trek III had a good cast. I wasn't fond of the official uniforms. I did like their street clothing. Also, the Vulcan costumes were cool. 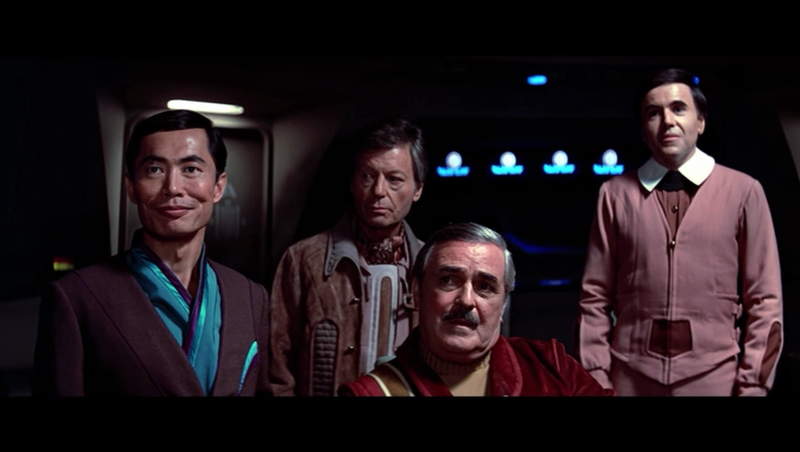 Sulu, Bones, Scotty, and Chekov. While I would have watched Star Trek II first (since it was also available on Netflix Instant), III and IV were higher rated (on Netflix) and expire 20100701. So I decided to jump in there. Story-wise, I might have made a mistake. Oh well. Starting IV, it leaves off where III ended. I'm pretty sure III left off where II ended, but I won't know yet. 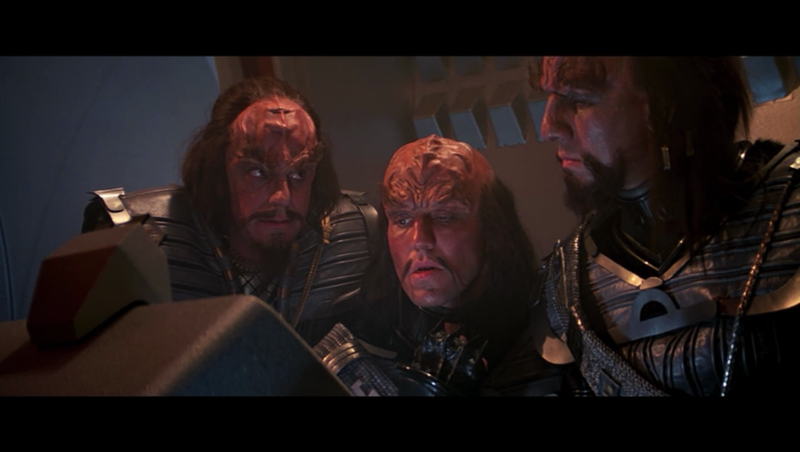 Kruge (Christopher Lloyd) on the left. 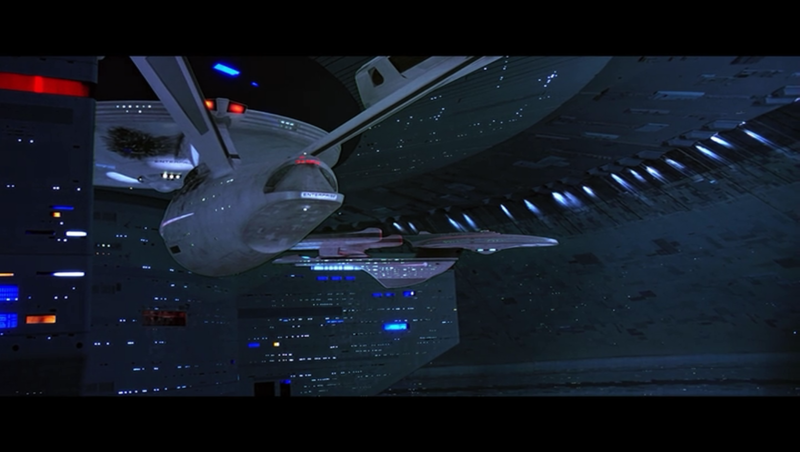 Today (20130127) I watched Star Trek II and proceeded to skim through Star Trek III and take screenshots. In doing so, I noticed that Saavik is no longer played by Kirstie Alley. 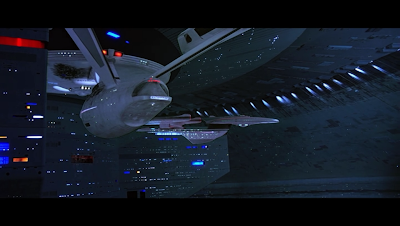 I also noticed that footage from Star Trek II is used throughout the movie. 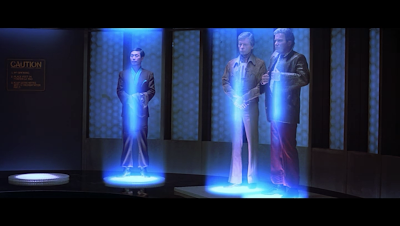 Sulu, Bones, and Kirk getting beamed to the Enterprise. I guess it finishes the opening credits by listing two names and then starring as Spock: Carl Steven, Vadia Potenza, Stephen Manley, Joe W. Davis, Leonard Nimoy. After various other credits roll, it lists the cast at 1:42:43.